You’ve probably heard it a hundred times before but I will say it again, incidental activity is very important in the process of losing weight as you can burn more calories than relying on dietary means alone. 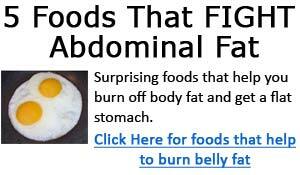 Fat is burned from the body when cells oxidize to release energy in the form of exercise or movement. When the exercise is done slowly to moderately then the majority of energy is taken from the fat stores. Research shows that regular, brisk walking is one of the best exercises we can do for overall fitness. It suits people of all ages and fitness levels, it’s easy to get started and there's no complicated technique to learn or equipment to buy. It’s also safer on the joints and the back than most other forms of exercise because you're not jumping up and down, so the impact is low. • If your feeling stressed, try counting your steps repeatedly from one to ten as you walk, this helps some people achieve a meditative effect and can be a great tension reliever when practiced over a full 40 minutes. • Time yourself, measure the distance or increase the gradient to make the workout more challenging. Drink plenty of fluids during and after your walk. • Make safety your first consideration. Don't walk after dark except in well-lit, busy places. Start the walk slowly, and then gradually increase the pace. So, go ahead in all other activities try to move, move, move. Try parking the car further away from your destination so you can walk the extra distance, hide all your remote controls so you have to get up and change the channels manually. These all help burn those extra calories and body fat from your frame.